At Goochland Dentistry, we do more than just treat smiles. 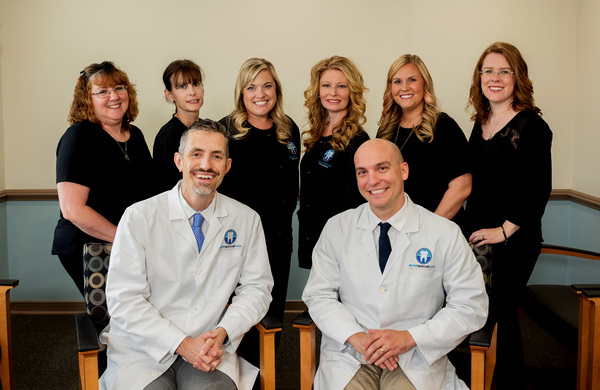 Since 2001, Dr. Peter Murchie and his team have provided patients with positive experiences in addition to providing lasting oral health. By offering high-quality preventive, restorative, and cosmetic dentistry at our state-of-the-art dental practice, our Manakin-Sabot dentist is able to help patients smile, speak, and eat with confidence. Located on the corner of Broad Street Rd. (Rt. 250) and Manakin Rd., Goochland Dentistry welcomes families from the neighboring communities of Centreville, Henrico, and Glen Allen. We believe that all patients deserve to enjoy a beautiful smile. As a graduate of the prestigious Dawson Academy and an active member of the American Academy of Cosmetic Dentistry, Dr. Murchie understands that influence a beautiful smile has a dramatic impact on your self-confidence. From in-office teeth whitening to comprehensive implant dentistry, our modern dental practice is able to help regain your confidence in your smile. We value our patients' input and strive to ensure that you feel confident and comfortable with their upcoming care. Starting with a one-on-one consultation with the dentist you are able to express your aesthetic concerns and describe their ideal smile. By using advanced diagnostic tools throughout the planning process, Dr. Murchie is able to develop a treatment strategy that improves the aesthetics, health, and function of the smile as well as educate and explain treatment options. These tools provide you with the information needed to make the best decision for their smile. As an active member of the American Academy of Cosmetic Dentistry, the Academy of General Dentistry, the Virginia Dental Association, the American Dental Association, and the International Congress of Oral Implantology, Dr. Murchie is dedicated to providing his patients with the best care possible. By frequently participating in continuing education opportunities as well as regularly evaluating new dental materials, techniques, and technologies, we are always searching for ways to improve his your experiences. Whether you’re visiting Goochland Dentistry for a routine cleaning or seeking more advanced dental care, all patients receive personalized attention from a highly experienced dentist. To learn more about our available services, contact Dr. Murchie today to schedule your visit. We look forward to helping you achieve your best smile yet!